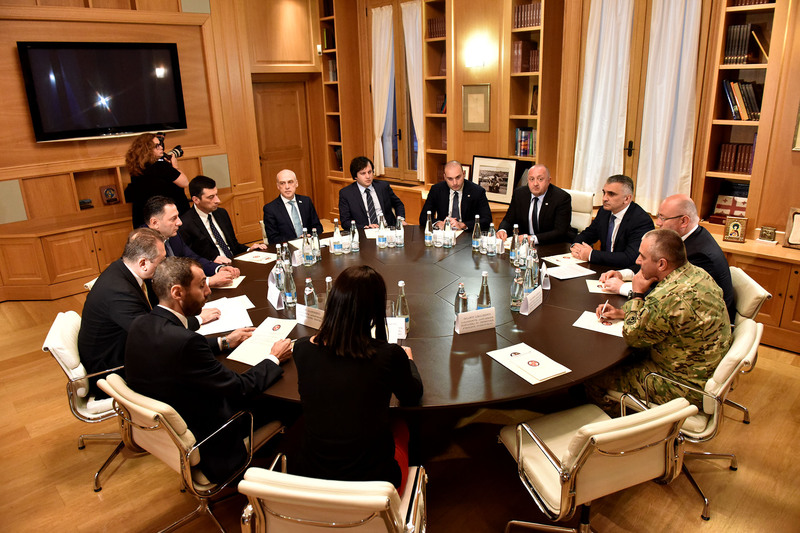 Vakhtang Gomelauri, the head of State Security Service of Georgia attended the meeting of National Security Council. During the meeting talks were held on the issues connected to coordination of the Government of Georgia in the preparation process for the NATO Summit which will be held on July 11-12, as well as the progress achieved in terms of ongoing reforms in the defense field. The meeting was held at the Administration of the President of Georgia and was attended by Giorgi Margvelashvili, President of Georgia, Mamuka Bakhtadze, Prime Minister of Georgia, Irakli Kobakhidze, Chairman of the Parliament of Georgia, Davit Rakviashvili, Secretary of the National Security Council, Levan Izoria, Minister of Defence of Georgia, Davit Zalkaliani, Minister of Foreign Affairs of Georgia, Giorgi Gakharia, the Minister of Internal Affairs of Georgia, Irakli Sesiashvili, Chairperson of Defense and Security Committee of Parliament of Georgia, Sophio Katsarava, Chairwoman of International Relations Commettee of Parliament of Georgia, Vladimer Chachibaia, Head of General Staff of Georgia, Tengiz Pkhaladze, Advisor to the President for Foreign Affairs and Giorgi Abashishvili, The Head of the Administration of the President of Georgia.